Home / Blog / They All Won – And All Lost! They All Won – And All Lost! 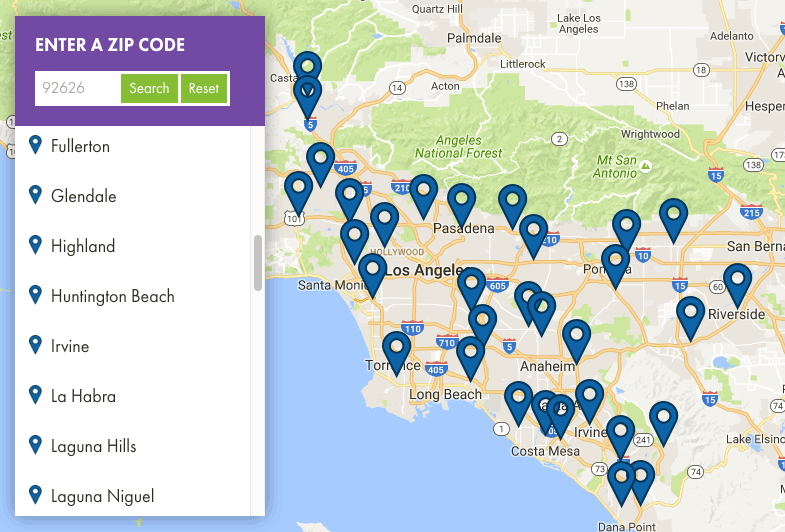 If you live in Southern California, you may have seen news coverage for Lean for Life’s “Battle of the Badges” finale, which took place December 4 at Los Angeles Sheriff’s Department Headquarters in Monterey Park. 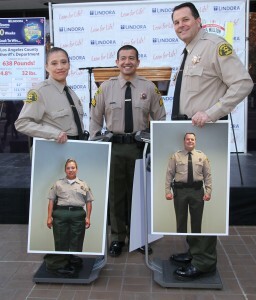 The event marked the end of a weight loss competition in which two LASD teams—10 women vs. 10 men—faced off to see which team could lose the greatest percentage of their starting weight in 10 weeks. It was an exciting event in which everyone achieved truly impressive results. The Men’s Team earned the Lean for Life “Healthy Heroes” Award by losing 384 pounds—an impressive 15.8% of its starting weight. The Women’s Team lost 254.4 pounds and 13.58% of its starting weight. Together, the 20 participants lost a combined total of 638.4 pounds—an average of 32 pounds each! Eighteen of the 20 participants lost more than 10% of their starting weight in 10 weeks. Eight of them lost 15% or more. Ten of the 20 participants lost 30 pounds or more. Five of them lost 40 pounds or more—and two lost 50 pounds! The woman with the greatest percentage of weight loss lost 17.2% of her starting weight and 36 pounds. The man with the greatest percentage of weight loss lost 21.5% of his starting weight and 50 pounds. Lost a combined total of 104.5 inches around their waists—that’s an average of 5.2 inches each! Had an average Body Mass Index (BMI) of 33 at the start of the competition. They now have an average BMI of 28. Had an average blood pressure of 129/79 at the start of the competition. They now have an average blood pressure of 111/71. When people ask how much weight they can expect to lose on the Lean for Life program, we explain that 10% of your starting weight in just 10 weeks is a realistic, achievable goal. As with nearly everything in life, you tend to get back what you put in. The more committed you are to the outcome, the greater that outcome is likely to be! Extraordinary results can occur when you’re focused and determined. The men and women who participated in this event are living proof that anything is possible. They all have challenging schedules, demanding jobs and busy lives, yet each took the time and energy to focus on improving their health. If they can do it, we all can!